Family holidays are the perfect way of letting all your loved ones know how important they are to you and it is also the time for everyone to set aside the stresses of life and have a great time being together. 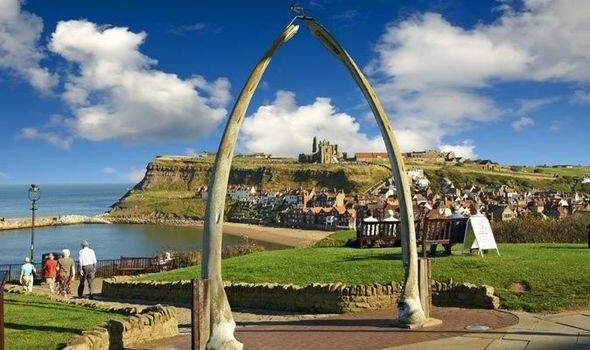 Whether it’s a long holiday or a weekend away, Whitby has lots of choices of all kinds of things to do. Whitby is a beautiful seaside town in Northern Yorkshire by the River Esk. This lovely coastal town mesmerizes visitors with sandy beaches, historical buildings, museums, rock pools and not to mention some of the best fish and chips. For sightseeing board a double decker open top tour bus and explore this ancient harbour town. Paint and have fun together. Walk into the creative studios and paint your very own pots to take home memories of a wonderful time together. For a spooky holiday experience, meet up with story-walker Harry Collett and go on Ghost Walks around the famous and historic port of Whitby, North Yorkshire. For more family fun visit the Indoor and Outdoor Adventure Play Area at Mini Monsterz. Whitby has great beaches ideal for paddling in the sea, building sandcastles, kite boarding and kite surfing with beautiful views from the cliff top. Don’t forget to savour the yummy ice creams available at the beach. Go on horse rides along to Robin Hoods bay to explore the picturesque Whitby. Go cycling around the Moors National Park and learn about Captain Cook and his life in Yorkshire. Visit the Whitby Harbour to learn about the local culture and to enjoy the coastal cuisine. The Pannett Park is a pretty park to walk through with its beautiful gardens. The play area at the top is absolutely fabulous for children to play and have fun. Whitby is by all means a wonderful family holiday destination. Plan your next holiday to Whitby and have a ball of a time with your family.